Department of Chemistry, Jamia Millia Islamia, New Delhi - 110025, Delhi, India. ABSTRACT: Rapid industrialization and modernization have introduced substantial amounts of toxic heavy metals into the aquatic and terrestrial environment which possess a severe threat to flora and fauna. In recent years, considerable research work has been done and is currently underway on some natural biopolymers and their modifications to remove different kinds of heavy metal ions. 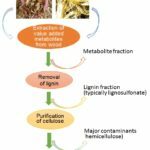 Chitosan and cellulose, both naturally occurring polysaccharides are the most effective adsorbents for the removal of heavy metal ions from wastewater. This review is aimed to provide relevant and recent information on the application of chitosan, cellulose and their respective derivatives for the removal of toxic heavy metal ions. INTRODUCTION: Majority of industries and mainly the mining operations, tanneries, and metal plating play a vital role in contaminating the environment with heavy metals 1. Heavy metals particularly mercury (Hg), chromium (Cr), lead (Pb) and cadmium (Cd) have lethal effects on all forms of life even at low concentrations. Various methods including chemical precipitation 2, nanofiltration 3, solvent extraction 4, ion exchange 5, reverse osmosis 6, and adsorption 7 have been extensively studied in recent decade to decontaminate the polluted waters. Out of all these methods, adsorption is particularly attracting scientific focus mainly because of its high efficiency, low cost, easy handling and high availability of different adsorbents. Over the past few years, several research studies have been conducted globally on natural polymers, and various methods have also been developed to enhance their metal binding 8 properties. The adsorption process is known to depend upon various experimental conditions such as particle size, pH, metal concentration, ligand concentration and competing for ions 9. Scientists have focused their momentum for the search of low cost and easy available biomaterials for the wastewater treatment. Chitosan 10, alginate 11, cellulose 12 and lignin 13 are some of the well known natural polymers that have received considerable attention for water treatment. Characteristics of various types of biopolymers are shown in Table 1. A vast literature is nowadays available on all of these biopolymers. Given their excellent properties to be used as efficient materials for heavy metal adsorption, this review will highlight some of the recent studies conducted on chitosan and cellulose for water treatment. Also, this review will focus on various derivatives of these polymers that have been developed to enhance their efficiency in removal of toxic and heavy metals. Chitosan: Chitosan is a versatile polyaminosachride produced by alkaline N-deacetylation of chitin involving deproteination and deacetylation. Owing to many attractive properties such as hydrophilicity, biocompatibility, biodegradability, non-toxicity, and presence of very reactive amino(-NH2) and hydroxyl(-OH) groups in its backbone, chitosan has been used as an effective material for the removal of heavy metals from waste waters 14. Mostly the adsorption depends on the pH values, and the chitosan is very sensitive to pH 15. Chitosan has the property to increase its metal binding efficiency by undergoing chemical modification with the cross-linking reagents including ethylene glycondiglycidyl ether, formaldehyde, glyoxal, epichlorohydrin, glutaraldehyde, and isocyanates 16. The reagents used in cross-linking not only stabilize the chitosan in acidic solution, making it insoluble in acidic medium but also enhance its mechanical properties 15. Table 2 shows adsorption capacities and experimental conditions of chitosan composites for removal of various heavy metals from wastewater. Chitosan derivatives have been used extensively investigated as adsorbent 31 among them are chitosan derivatives containing nitrogen phosphorous and sulphur as hetero atoms and other derivatives such as chitosan crown ethers and chitosan ethylenediaminetetraacetic acid (EDTA)/ diethylenetriaminepentaacetic acid (DTPA) complexes 32. Recently chitosan composites have been developed for the adsorption of heavy metals from wastewater. Different kinds of substances have been used to form composites with chitosan such as polyelectrolyte films formed by initially mixing chitosan with acetate to form carboxymethyl chitosan mixed with pectin to form CMC/pectin films showing an increase in adsorption capacity for the removal of Pb (II) ions from the treated waste water 18. Adsorption of Lead (II) ion on chitosan has found to be dependent on contact time, concentration, temperature, and pH of the solution. The removal processes fit the first order kinetics 19. Ethylenediamine modified cross-linked magnetic chitosan resin (EMCMCR) was used for the adsorption of Cu (II) ion from wastewater. The best results of adsorption were observed at pH of 6.0, the temperature of 25 ºC with the initial concentration of 200 ppm. The adsorption was best with Langmuir adsorption model 20. Removal of Cu(II) ions from aqueous solution took place by chitosan/cellulose blended beads cross-linked by formaldehyde and was found to be highly pH dependent. The experimental was best-fitted data with Langmuir, Freundlich, Temkin, and Dubinin-Radushkevich isotherms. The energy of adsorption showed that the process is physical adsorption process 21. Chitosan-coated carbon type adsorbent was used for the removal of Cr(IV) and Cd(II) from aqueous solutions at a pH of 5.0 and 5.5 respectively at optimum temperature. The experimental data is best fitted with Langmuir adsorption and follows pseudo-second-order kinetics 22. Chitosan-zeolite(CZ) composite was prepared by using zeolite and chitosan for the adsorption of Cu(II) ions from the treated wastewater 23. Polyethylene glycol cross-linked chitosan films with sub-micrometer porous structure also used for Fe removal from aqueous solutions. The adsorption process was studied by several parameters such as contact time, pH and metal ion concentration 24. The granular semi-IPN hydrogel was prepared in an aqueous media by grafting and crosslinking reactions between chitosan (CTS), gelatin (GE), acrylic acid (AA), and N, N-methylene-bis-acrylamide for adsorption of Cu(II) ions. The hydrogel strength, reuse, recovery properties and adsorption for Cu(II) ion was tested systematically, and it was observed that the complexation and ion-exchange interactions occur between the functional groups (COO− and NH2) 25. Treatment of chitosan with 30% bromine increases Pb(II) ions adsorption due increase the surface area and porosity using physicochemical interaction with cationic sites of its skeleton, owing to the anionic alteration at amino linkages of chitosan which facilitates Pb(II) ion removal by chemical interaction 26. Chitosan-magnetite nanoparticles were used for the adsorption of nickel (Ni) and cobalt (Co) ions from aqueous solutions 27. Chitosan derived from shrimp shell waste used for the removal of Cu(II), Hg(II), Pb(II) and Zn(II) from gold ore stalking solutions containing cyanide. Experimental results were testing by using the Langmuir, Freundlich, SIPS, and Redlich–Peterson isotherm models and maximum adsorption capacity for Cu(II) (79.94 mg/g), Hg(II) (109.55 mg/g), Pb(II) (58.71 mg/g) and Zn(II) (47.15 mg/g) and is best fitted with Langmuir equation 28. Ethylenediaminetetraacetic acid (EDTA) ligand gets combined with chitosan-silica hybrid materials for synthesizing a novel type adsorbent for decontaminating the Co(II), Ni(II), Cd(II), and Pb(II) ions from aqueous solution 29. Graft copolymerization of polyacrylonitrile on chitosan surface in the presence of ceric ammonium nitrate was used for removal of Cr(VI) and Cu(II) ions from aqueous media 30. Thiourea modified chitosan was synthesized in two steps, O-carboxymethylation first and secondly the polymeric Schiff base of thiourea/glutaraldehyde was used for the adsorption of Hg(II) 31. Beads of thiourea-modified chitosan were used for the adsorption of Cu(II) was prepared by several media(citric acid, sodium hypophosphite, glutaraldehyde, and SiO2) 32. Graft copolymerization of chitosan with polyacrylonitrile in the presence of ceric ammonium nitrate used for the removal of Pb(II) and Ni(II) ions from aqueous solutions 33. To facilitate the adsorption efficiency, the chitosan was combined with sodium alginate and was used for the removal of heavy-metals ions of Cu(II), Cd(II), Pb(II) and Ag(II) ions from wastewater 34. The macromolecule flocculant-mercapto-acetyl chitosan was synthesized by reacting CTS and L-cysteine, as adsorbent was used to chelate the heavy metals for the removal of Cu(II) ions with a 100% removal rate 35. The Cu(II) and Ni(II) ions are removed from metal solution by using crosslinked chitosan synthesized by graft copolymerization of chitosan with acrylonitrile in the presence of ceric ammonium nitrate as an initiator. The adsorption efficiency of adsorbent was depended on the pH of the solution, adsorbent dosage and contact time 36. Cr(VI) ion was removed through crosslinked chitosan(CRCH) which was synthesized by gamma irradiation in the presence of carbon tetrachloride. The adsorption efficiency and product formed CRCH were compared with simple chitosan at pH 3. CRCH showed higher adsorption capacity of Cr (VI) ion, and its experimental results were best fitted with adsorption models such as Langmuir, Freundlich, and Dubinin-Radushkevich. The most important role of CRCH, for treating the wastewater containing Cr(VI) ion, after adsorption Cr(VI) ion through the column; the column can be easily regenerated and skillfully reused 37. Alginic acid and chitosan, both naturally occurring polysaccharides are the most effective adsorbents for removal of Co(II), Cu(II), and Cd(II) from waste water. The combined use of alginic acid and chitosan was expected to form a rigid matrix due to anionic interaction between amino groups of chitosan and carboxyl groups of alginic acid and the crosslinking between the two successfully took place through glutaraldehyde. The crosslinking makes the beads durable and facilitates the adsorption of Cu(II), Co(II) and Cd(II) ions under acidic conditions 38. Cellulose: Polysaccharides are among the most abundant among all the polymers present on earth 39 derived from various sources shown in Fig. 1. Cellulose has been used in the form of wood and cotton for thousands of years as an energy source, building material, and clothing. Cellulose consists of β-D-glucopyranose repeat units which are covalently linked by acetal functionalities between the equatorial OH group on carbon atom (C4) and carbon atom (C1), hence the name β-1,4-glucan. As a result, cellulose possesses a long linear chain polymer with a large number of hydroxyl groups (three groups per anhydrous glucose unit (AGU)) and a thermodynamically preferred conformation 4C1 (a bond between carbons 4 and 1). The length of the polymeric cellulose chain depends on the number of constituent AGU unit’s, degree of polymerization (DP) and varies with the origin and treatment of the cellulose raw material 40. This molecular structure gives cellulose a characteristic property of hydrophilicity, chirality, and degradability. Chemical reactivity is largely a function of the high donor reactivity of the OH groups 41. In particular, two main approaches have been tried in the conversion of cellulose into compounds capable of adsorbing heavy metal ions from aqueous solutions. The first method involves a direct modification of the cellulose backbone with the introduction of chelating or metal binding functionalities. Alternative approaches have been focused on grafting of selected monomers to the cellulose backbone either directly by the introduction of metal binding capability or with subsequent functionalization of these grafted polymer chains with known chelating moieties 42. Pure cellulose has very few applications compared to the diversity of applications of its modified form 43. Chemical modifications increase its adsorption capacity for heavy metals in aqueous and non-aqueous media 44. Moreover, chemical modifications can also be used to vary several other properties of cellulose, such as hydrophobicity or hydrophilicity, elasticity, absorptivity, microbial resistance, heat and mechanical resistance 45. Chemical modification of a polysaccharide surface follows the same principles as those established for other media, such as silica gel. However, the hydroxyl groups (-OH) on cellulose are less reactive, and the start of a chemical modification takes place at the primary hydroxyl found on carbon 6 (C6), which may occur through several different methods. However, modifications can also occur on the secondary hydroxyl groups (-OH) present on carbons 2 and 3. The significant modifications of cellulose occur through halogenation, oxidation, etherification and esterification 46. Adsorption capacities and experimental conditions of cellulose/modified cellulose for removal of various heavy metals ions from wastewater are shown in Table 3. In particular, two main approaches have been tried in the conversion of cellulose into compounds capable of adsorbing heavy metal ions from aqueous solutions. One of these methods involves a direct modification of the cellulose backbone with chelation or metal binding functionalities producing a wide range of heavy metal adsorbents. An alternative approach has been focused on grafting of selected monomers to the cellulose backbone either directly by introducing metal binding capability or with subsequent functionalization of the grafted polymer chains. With known chelating moieties such as graft copolymerization of acrylonitrile on to cellulosic material derived from sisal fiber in the presence of ceric ammonium nitrate (as initiator) used for making adsorbent to remove Cr(VI) ions from aqueous media. By using this material as an adsorbent, Cr(VI) ions removal was found to be optimum at pH 5, and the experimental data were best fitted with Freundlich isotherm and kinetic studies revealed that the process follows pseudo-second-order kinetic 47. For the removal of divalent metal sorption of Pb(II), Cd(II), Ni(II), Co(II), Cu(II), Zn(II) cellulose was modified with thionyl chloride to increase its reactivity. This modified Cellulose was reacted with ethylenediamine (CelEn) and subsequently reacted with ethylene sulfide to obtain a solid substance, CelEnEs 48. Collagen/cellulose based hydrogel beads (CCHBs) from 1-butyl, 3-methylimidazolium chloride is used for the adsorption of Cu(II) ion from aqueous solutions. The three-dimensional macroporous structure of modified cellulose containing amino groups is believed to be the main active binding site of Cu(II) ions 49. Modification of cellulose with maleic anhydride was used for the synthesis of a novel type adsorbent (CM) for the removal of Hg(II) ions. The titration method was employed to find the degree of the carboxyl group of CM and was found to be 2.7 mmolg-1. The effect of different experimental parameters such as temperature contact time and pH was evaluated during the removal process. The experimental data were best fitted with the Freundlich isotherm model, and kinetic studies revealed that it would follow pseudo-second-order kinetics with a maximum adsorption capacity of Hg(II) was found to be 172.5 mg g-1 50. Mercurized cellulose modified by succinic anhydride was used for the preparation of new chelating material for Cu(II), Cd(II), and Pb2+ions 51. Microfibrillated cellulose (MFC) type adsorbent was synthesized by the graft copolymerization of aminopropyl-triethoxysilane (APS) for the removal of Ni(II), Cu(II) and Cd(II) ions from aqueous solution and the maximum adsorption capacities for Ni(II), Cu(II), and Cd(II) ions of the modified APS/MFC adsorbent was 2.734, 3.150 and 4.195 mmol/g, respectively 52. For the removal of cobalt (Co(II) and nitrate (NO3) ions, a new type of adsorbent was synthesized by radiation-induced graft copolymerization of glycidyl methacrylate and methacrylic, the subsequent chemical modification with triethylamine, which produced bifunctional cotton fabric waste bearing N+ (CH2CH3)3 and COOH groups carrying the potential application of adsorption 53. Benzoyl peroxide (BPO) as an initiator for graft copolymerization of glycidyl methacrylate (GMA) onto cellulose and subsequent modification with polyethyleneimine (PEI) produces an improved synthesis of a branched polyethyleneimine (PEI) modified cellulose-based adsorbent (Cell-g-PGMA-PEI) for adsorption of Cu(II) from the aqueous medium. The efficiency of adsorbent capacity increases by decreasing the side reaction of epoxide ring opening during graft copolymerization of glycidyl methacrylate (GMA) onto cellulose which increases the epoxy groups, anchors to immobilize branched PEI moiety 54. Adsorption of Cd(II), Pb(II) and Cu(II) ions with novel welan gum-modified cellulose adsorbent was prepared through emulsification, regeneration, and modification with the maximum adsorption capacities of 83.6, 77.0 and 67.4 mg/g respectively. Moreover, the adsorption capacities for the three metal ions increased with the increase in temperature, and the maximum adsorption occurs at pH 5 55. Cellulose acetate (CA) with tetraethoxysilane (TEOS) as a silica source in the presence of coupling reagent 3-ureidopropyltriethoxysilane was used for the synthesis of novel NH2-functionalized cellulose acetate (CA)/silica composite nanofibrous membranes with electrospinning technology which was employed for the removal of Cr(VI) ions from aqueous media 56. A new sensor type adsorbent for rapid, selective, simultaneous detection and removal of Hg (II) ions was prepared from cellulose by etherified, oxidized, and modified to Schiff base by reaction with L-lysine for the synthesis of new oxidized cellulose-based materials. The experimental data follows pseudo-second-order kinetics and Langmuir isotherm with high maximum adsorption capacity of 258.75 mg g−1 57. Polyvinyl alcohol (PVA) blended chitosan and carboxylated cellulose nanofibrils (CCNFs) was used for the preparation of magnetic hydrogel beads (m-CS/PVA/CCNFs) and used as adsorbents for removal of Pb(II) ions 58. A cellulose type nano adsorbent is used for the removal of Pb(II)and Cd(II) from aqueous solutions. This nano-adsorbent was prepared by hydrolysis of cotton to obtain cellulose nanocrystals (CNCs) subsequently; the CNCs were then chemically modified with succinic anhydride to obtain SCNCs. The sodic nano-adsorbent (NaSCNCs) was further prepared by treatment of SCNCs with saturated NaHCO3 aqueous solution 59. In order to determine the adsorption potential of anion exchanger, Fe(III)-coordinated amino-functionalized poly glycidyl methacrylate-grafted TiO2-densified cellulose (AM-Fe-PGDC) was used for As(V) ion removal from aqueous solutions proposed by Anirudhan et al. Its adsorption rate was influenced by initial contact time and metal ion concentration and its experimental data was found to be fitted with pseudo-second-order kinetic model 60. The novel property of surface adsorption of cellulose nanofibers (CNF), chitin nanocrystals (ChNC) and cellulose nanocrystals (CNC) type adsorbents obtained from bio residues to remove Ag(II) ions from contaminated water. Surface adsorption on the nanoparticles through electrostatic interactions is considered to be the best mechanism for the heavy metal ion adsorption from aqueous solutions, the negative charged CNC species and negatively charged functional groups being most suitable for chelation of positive to other native bionanomaterials 61. Graphene oxide/carboxymethyl cellulose (GO/CMC) based column is used as an adsorbent for the removal of Ni(II) ions. GO/CMC monoliths changed the porous structure by incorporation of GO and increased their compressive strength 62. A novel magnetic cellulose-chitosan composite microsphere was synthesized by a method combining the emulsification procedure and cellulose-chitosan regeneration from the ionic liquid without surface modifications. The composite microspheres exhibited porous structure, large surface area, and affinity on metals, leading to the efficient uptake capacity of Cu(II) ions 63. Zeolite/cellulose acetate blended (ZCAB) fibers, as an adsorbent for Adsorption of Cu(II) ion, was prepared by the wet spinning method and tested in a packed bed up-flow column. The adsorption process is influenced by several parameters, such as the pH of the solution, initial metal concentration, bed depth and flow rate 64. Cellulose matrix modified by ZrO2 for the synthesis of cellulose/ZrO2nanohybrid was used for selectivity adsorption toward eight metal ions, including Cd(II), Co(II), Cr(II), Cu(II), Fe(II), Ni(II), Zn(II) and Zr(II). These nanohybrids show best towards the Ni(II) ion and absorption was found to be 79 mgg-1 65. The reaction between cellulose di-acetate (CA) and chitosan (CS) was used for the synthesis of several membranes having the affinity for chelation of Cu (II) ions from aqueous solutions. These membranes attracted the attention of researchers especially in the field of wastewater treatment for removing the heavy metals 66. The coating of bamboo culmic cellulose on carbon culms for processing a rigid matrix structure with good mechanical strength, the coating provides a stable adsorbent that was stable under acidic conditions for the adsorption of Cr(II), Cd(II), and Pd(II) metal ions from aqueous media and adsorption efficiency values 93%, 76%, and 82% respectively 67. For the adsorption of heavy metals, a new route was used for the synthesis of magnetite cellulose-chitosan hydrogel micro-spheres in which ionic liquids are used as solvents. These magnetic hybrid hydrogel having high adsorption capacities for various heavy metal ions such as Cu(II), Pb(II) and Fe(II) ions and the consistent equilibrium adsorption capacity was found to be 44.7 ± 5 mgg-1, 28.1 ± 3 mgg-1, and 94.1 ± 7 mgg-1 respectively 68. A novel type cellulose adsorbent bearing chemically grafted thiosemicarbazide was used for adsorption of Co(II), Hg(II) and Cd(II) ions 69. Hydroxylamine was used for the Introduction of amidoxime group in cellulose-graft polyacrylonitrile (C-g-PAN). The prepared amidoximated grafted cellulose acts as an adsorbent for adsorption of Co(II), Cu(II), Ni(II) ions 70. The biodegradable adsorbent of chitosan (chitin)/cellulose composites which were prepared by using ionic liquids for adsorption of Cu(II), Zn(II), Cr(VI), Ni(II) and Pb(II) ions. The adsorption capacities of various metal ions are 0.417 mmol/g, 0.303 mmol/g, 0.251 mmol/g, 0.225 mmol/g and 0.127 mmol/g, respectively. X-ray photoelectron and infrared spectra determine the strong hydrogen bonding between chitosan and cellulose in these composites. The presence of hydroxyl (-OH) and amine(-NH2) groups is believed to be the metal binding sites on composite skeleton 71. CONCLUSION: In general, chitosan and cellulose are economically feasible because they are easy to prepare and involve inexpensive chemical reagents. Both of these polymers could be used as an alternative to replace the traditional, costly and environmentally toxic adsorbents currently used for adsorption of heavy metals. Adsorption efficiency of chitosan and cellulose is not good enough in pure form; therefore, modification of these biopolymers is necessary to increase the adsorption capacities and their applicability in different mediums. This field of research has a vast area for improvement in the hope that biopolymers can be applied commercially instead of laboratory scale. ACKNOWLEDGEMENT: The author Mudasir Ahmad gratefully acknowledges financial support from the University Grants Commission (UGC) New Delhi. Quek SY, Wase DAJ and Forster CF: The use of sago waste for the sorption of lead and copper. Water SA 1998; 24(3): 251-256. Hu X, Li Y and Wang Y: Adsorption kinetics, thermodynamics and isotherm of thiacalixarene-loaded resin to heavy metal ions. Desalination 2010; 259(1-3): 76-83. Al Rashdi BM, Johnson DJ and Hilal N: Removal of heavy metal ions by nanofiltration. Desalination 2013; 315: 2-17. Cerna M and Monitoring E: Use of solvent extraction for the removal of heavy metals from liquid wastes. Environmental Monitoring and Assessment 2014; 34: 1-6. Vaaramaa K and Lehto J: Removal of metals and anions from drinking water by ion exchange: Desalination 2003; 155(2): 157-170. Zhang H, Zhao X, Wei J and Li F: Sorption behavior of cesium from aqueous solution on magnetic hexacyanoferrate materials. Nuclear Engineering Desalination 2014; 275: 322-328. Coskun R, Soykan C and Sacak M: Removal of some heavy metal ions from aqueous solution by adsorption using poly(ethylene terephthalate)-g-itaconic acid/ acrylamide fiber. Reactive Functional Polymers 2006; 66(6): 599-608. Deans J and Dixon B: Uptake of Pb2+ and Cu2+ by novel biopolymers. Water Research 1992; 26(4): 469-472. Kannan N and Sundaram MM: Kinetics and mechanism of removal of methylene blue by adsorption on various carbons comparative study. Dyes and Pigments 2001: 5125-40. Ahmed S, Ahmad M and Ikram S: Chitosan: A Natural Antimicrobial Agent- A Review. Journal of Applicable Chemistry 2014; 3(2): 493-503. Ahmed S and Ikram S: Chitosan & its Derivatives: A Review in Recent Innovations. International Journal of Pharmaceutical Research 2015; 6(1): 14-30. Phan N H, Rio S, Faur C, Coq LL, Cloirec PL and Nguyen TH: Production of fibrous activated carbons from natural cellulose (jute, coconut) fibers for water treatment applications. Carbon 2006: 44(12): 2569-2577. 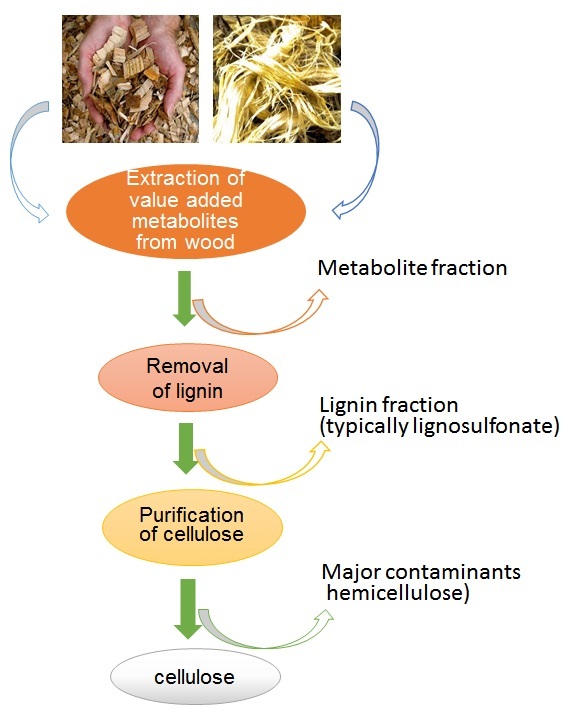 Ehara K, Saka S and Kawamoto H: Characterization of the lignin-derived products from wood as treated in supercritical water. Journal of Wood Science 2002; 48: 320-325. Wu FC, Tseng RL and Juang RS: Enhanced abilities of highly swollen chitosan beads for color removal and tyrosinase immobilization. Journal of Hazardous Material 2001; 81(1-2): 167-177. Chiou MS, Ho PY and Li HY: Adsorption of anionic dyes in acid solutions using chemically cross-linked chitosan beads. Dye Pigment 2004; 60(1): 69-84. Crini G and Badot PM: Application of chitosan, a natural aminopolysaccharide, for dye removal from aqueous solutions by adsorption processes using batch studies: A review of recent literature. Progress in Polymer Science 2008; 33(4): 399-447. Islam S, Shahid M and Mohammad F: Green chemistry approaches to develop antimicrobial textiles based on sustainable biopolymers-a review. Industrial Engineering Chemistry Research 2013; 52(15): 5245-5260. Hastuti B and Siswanta D: The synthesis of carboxymethyl chitosan-pectin film as adsorbent for Lead (II) metal. International Journal of Chemical Engineering and Applications 2013; 4(6): 349-353. Dhanesh S, Mishra M, Mishra AK and Anjali S: Removal of lead from waste water using low-cost International Research Journal of Environment Sciences 2013; 2(9): 23-26. Peter M, Gopalakrishnan S and Kannadasan T: Adsorption of Copper by Ethylenediamine-modified cross-linked magnetic chitosan resin (EMCMCR). American Journal of Engineering Research 2013; 5: 114-121. Thilagan J, Gopalakrishnan S and Kannadasan T: Cellulose and cross-linked by formaldehyde, (b) chitosan immobilized on red soil,(c) chitosan reinforced by the banana Journal of engineering technology 2013; 3(1): 35-60. Soundarrajan M, Gomathi T and Sudha PN: Understanding the adsorption efficiency of chitosan-coated carbon on heavy metal removal. International Journal of Scientific and Research Publication 2013; 3(1): 1-10. Wan Ngah WS, Teong LC, Toh RH and Hanafiah MAKM: Utilization of chitosan–zeolite composite in the removal of Cu(II) from aqueous solution: Adsorption, desorption and fixed bed column studies. Chemical Engineering Journal 2012; 209: 46-53. Reiad NA, Abdelsalam OE, Abadir EF and Harraz FA: Preparation, characterization, and application of chitosan / polyethylene glycol blend film for removal of iron from water. International Journal of Sustainable Water and Environmental Systems 2013; 5(1): 43-49. Wang W, Huang D, Kang Y and Wang A: Biointerfaces One-step in-situ fabrication of a granular semi-IPN hydrogel based on chitosan and gelatin for fast and efficient adsorption of Cu 2+ Colloids and Surfaces B 2013; 106: 51-59. Shanmugapriya A, Hemalatha M, Scholastica B, Arul A and Prasad T: Adsorption studies of lead ( II ) and nickel ( II ) ions on chitosan-G-polyacrylonitrile. Der Pharma Chemica 2013; 5(3): 141-155. Hritcu D, Dodi G and Popa MI: Heavy metal ions adsorption on chitosan-magnetite microspheres. International Review of Chemical Engineering 2012; 4(5): 364-368. Benavente M, Moreno L and Martinez J: Sorption of heavy metals from gold mining wastewater using chitosan. J Taiwan Inst Chem Eng 2011; 42(6): 976-988. Repo E, Warchoł JK, Bhatnagar A and Sillanpää M: Journal of colloid and Interface Science Heavy metals adsorption by novel EDTA-modified chitosan – silica hybrid materials. J Colloid Interface Sci 2011; 358(1): 261-267. Shanmugapriya A, Ramya R, Ramasubramaniam S, Sudha PN and Nadu T: Studies on the removal of Cr (VI) and Cu (II) ions using Chitosan. Archives of Applied Science Research 2011; 3(3): 424-435. Wang L, Xing R, Liu S, Cai S, Yu H, Feng J, Li R and Li P: Synthesis and evaluation of a thiourea-modified chitosan derivative applied for adsorption of Hg (II) from synthetic wastewater. International Journal of Biological Macromolecules 2010; 46524-46528. Zuo X: Preparation and Evaluation of Novel Thiourea/ Chitosan Composite Beads for Copper(II) Removal in Aqueous Solutions. Industrial Engineering Chemistry Research 2014; 53: 1249-1255. Li H and Huang: Microwave Preparation and Copper Ions Adsorption Properties of Crosslinked Chitosan / ZSM Molecular Sieve Composites.Journal of Applied Polymer Science 2013: 86-93. Qin Y, Cai L, Feng D, Shi B, Liu J, Zhang W and Shen Y: Combined use of chitosan and alginate in the treatment of wastewater. Journal of Applied Polymer Science 2007; 104: 3581-3587. Zhang C, Zhang M and Chang Q: Preparation of mercaptoacetyl chitosan and its removal performance of copper ion and turbidity. Desalination Water Treatment 2013: 1-4. Ramya R and Sankar P: Adsorption of Cu (II) and Ni (II) ions from metal solution using crosslinked chitosan-g-acrylonitrile copolymer. International Journal of Environmental Sciences 2011; 1(6): 1323-1338. Ramnani SP and Sabharwal S: Adsorption behavior of Cr(VI) onto radiation crosslinked chitosan and its possible application for the treatment of wastewater containing Cr(VI). Reaction Functional Polymer 2006; 66(9): 902-909. Gotoh T, Matsushima K and Kikuchi KI: Preparation of alginate-chitosan hybrid gel beads and adsorption of divalent metal ions. Chemosphere 2004; 55(1): 135-140. Fox SC, Li B, Xu D and Edgar KJ: Regioselective esterification and etherification of cellulose: a review, Biomacromolecules 2011; 12: 1956-1972. Zhou J, Chang C, Zhang R and Zhang L: Hydrogels prepared from unsubstituted cellulose in NaOH/urea aqueous solution. Macromole Bioscience 2007; 7(6): 804-9. Klemm D, Heublein B, Fink HP and Bohn A: Cellulose: fascinating biopolymer and sustainable raw material. Angewandte. Chemie. International Edition 2005; 44(22): 3358-93. Aoki N, Fukushima K, Kurakata H, Sakamoto M, Furuhata and KI: Reactive Functional Polymer 1999; 42: 223-233. Jorge RA and Chqas AP: Ion-exchange equilibria between solid aluminum pectinates and Ca, Mn II, Cu II and Fe III ions in aqueous solution. Journal of Chemical Society 1988; 84: 1065-1073. Kamel S, Hassan EM and El-Sakhawy M: Preparation and application of acrylonitrile-grafted cyanoethyl cellulose for the removal of copper (II) ions.Journal of Applied Polymer Science 2006; 100(1): 329-334. McDowall DJ, Gupta BS and Stannett VT: Grafting of vinyl monomers to cellulose by ceric ion initiation. Progress in Polymer Science 1984; 10(1): 1-50. O’Connell DW, Birkinshaw C and O’ Dwyer TF: Heavy metal adsorbents prepared from the modification of cellulose: A review. Bioresource Technology 2008; 99: 6709-6724. Hajeeth T, Sudha PN, Vijayalakshmi K and Gomathi T: Sorption studies on Cr (VI) removal from aqueous solution using cellulose grafted with acrylonitrile onomer. International Journal of Biological Macromolecules 2014; 66: 295-301. Silva Filho EC, Lima LCB, Silva FC, Sousa KS, Fonseca MG and Santana S: Immobilization of ethylene sulfide in aminated cellulose for removal of the divalent cations. Carbohydrate Polymer 2013; 92(2): 1203-10. Wang J, Wei L, Ma Y, Li K, Li M, Yu Y, Wang L and Qiu H: Collagen/cellulose hydrogel beads reconstituted from the ionic liquid solution for Cu(II) adsorption. Carbohydrate Polymer 2013; 98(1): 736-43. Zhou Y, Jin Q, Hu X, Zhang Q and Ma T: Heavy metal ions and organic dyes removal from water by cellulose modified with maleic anhydride. Journal of Material Science 2012; 47(12): 5019-5029. Gurgel LVA, Júnior OK, Gil RPDF and Gil LF: Adsorption of Cu(II), Cd(II), and Pb(II) from aqueous single metal solutions by cellulose and mercerized cellulose chemically modified with succinic anhydride. Bioresource Technological 2008; 99(8): 3077-83. Hokkanen S, Repo E, Suopajärvi T, Liimatainen H, Niinimaa J and Sillanpää M: Adsorption of Ni(II), Cu(II) and Cd(II) from aqueous solutions by amino modified nanostructured microfibrillated Cellulose 2014; 21(3): 1471-1487. Tang Y, Ma Q, Luo Y, Zhai L, Che Y and Meng F: Improved synthesis of branched poly(ethylene imine)-modified cellulose-based adsorbent for removal and recovery of Cu(II) from aqueous solution. Journal of Applied Polymer Science 2013; 129(4): 1799-1805. Liu J, Xie TH, Deng C, Du KF, Zhang N and Yu JJ: Welan gum-modified cellulose bead as an effective adsorbent of heavy metal ions (Pb 2+ , Cu 2+ , and Cd 2+) in aqueous solution. Separation Science and Technology 2014; 49(7): 1096-1103. Taha A, Wu Y, Wang H and Li F: Preparation and application of functionalized cellulose acetate/silica composite nanofibrous membrane via electrospinning for Cr(VI) ion removal from aqueous solution. Journal of Environment Management 2012; 112: 10-6. Kumari S and Chauhan GS: New Cellulose − Lysine Schi off -Base-Based Sensor − Adsorbent for Mercury Ions. ACS Applied Material Interfaces 2014; 6(8): 5908-17. Zhou Y, Fu S, Zhang L, Zhan H and Levit MV: Use of carboxylated cellulose nanofibrils-filled magnetic chitosan hydrogel beads as adsorbents for Pb(II). Carbohydrate Polymer 2014; 101: 75-82. Yu X, Tong S and Ge M: Adsorption of heavy metal ions from aqueous solution by carboxylated cellulose nanocrystals. Journal of Environmental Science 2013; 25(5): 933-943. Anirudhan TS, Divya L and Parvathy J: Arsenic adsorption from contaminated water on Fe(III)-coordinated amino-functionalized poly(glycidyl methacrylate)-grafted TiO2 -densified cellulose. Journal of Chemical Technology and Biotechnology 2013; 88(5): 878-886. Liu P, Sehaqui H, Tingaut P, Wichser A, Oksman K and Mathew AP: Cellulose and chitin nanomaterials for capturing silver ions (Ag+) from water via surface adsorption. Cellulose 2013; 21(1): 449-461. Zhang Y, Liu Y, Wang X, Suna Z, Ma J , WubT, Xing F and Gao J: Porous graphene oxide/carboxymethyl cellulose monoliths, with high metal ion adsorption. Carbohydrate Polymers 2014; 101: 392-400. Peng S and Meng H: Nanoporous magnetic cellulose–chitosan composite microspheres: preparation, characterization, and application for Cu (II) adsorption. Industrial Engineering 2014; 53(6): 2106-2113. Ji F, Li C, Xu J and Liu P: Dynamic adsorption of Cu(II) from aqueous solution by zeolite/cellulose acetate blend fiber in fixed-bed. Colloids Surface A Physicochemical Engineering Aspects 2013; 434: 88-94. Khan SB, Alamry K, Marwani HM, Asiri AM and Rahman MM: Synthesis and environmental applications of cellulose/ZrO2 nanohybrid as a selective adsorbent for nickel ion. Composites Part B Engineering 2013; 50: 253-258. Naim MM and Abdel Razek HEM: Chelation and permeation of heavy metals using affinity membranes from cellulose acetate–chitosan blends. Desalination Water Treatment 2013; 51(1-3): 644-657. Ekebafe LO, Ekebafe MO, Erhuaga GO and Oboigba FM: Effect of reaction conditions on the uptake of selected heavy metals from aqueous media using composite from renewable materials. American Journal of Polymer Science 2012; 2(4): 67-72. Liu Z, Wang H, Liu C, Jiang Y, Yu G, Mu X and Wang X: Magnetic cellulose-chitosan hydrogels prepared from ionic liquids as a reusable adsorbent for removal of heavy metal ions. Chemical Communication 2012; 48(59): 7350-2. Temerdashev Z, Konshina DN, Logacheva EY and Konshin VV: Sorption properties of cellulose filters with covalently immobilized thiosemicarbazide. Journal of Analytical Chemistry 2011; 66(10): 930-936. El‐Khouly A and Takahashi Y: Study of heavy metal ion absorbance by amidoxime group introduced to cellulose‐graft‐ Journal of Applied Science 2011; 120: 866-873. Sun X, Peng B, Ji Y, Chen J and Li D: Chitosan (chitin)/cellulose composite biosorbents prepared using ionic liquid for heavy metal ions adsorption. AIChE Journal 2009; 55(8): 2062-2069. Ahmad M, Ahmed S, Swami BL and Ikram S: Adsorption of heavy metal ions: role of chitosan and cellulose for water treatment. Int J Pharmacognosy 2015; 2(6): 280-89. doi: 10.13040/IJPSR.0975-8232.2(6).280-89. Authors Address: Department of Chemistry, Jamia Millia Islamia, New Delhi, India.